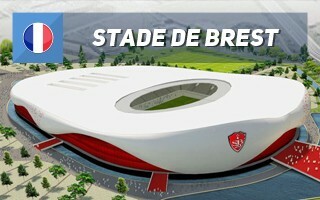 Brand new football stadium for Stade Brestois 29 would be built privately beside the east ring-road of Brest, in the Guipavas borough. Agricultural area opposite to local Ikea store would have zoning changed for sports, commerce and leisure. The stadium would include a hotel with part of its rooms directed at the field, possible to operate as skyboxes on matchdays. There would also be commercial floor spaces along with numerous leisure facilities, including tennis, squash, badminton, climbing wall, trampoline park, laser tag and more. Altogether the stadium might enable a budget of €20 million annually, which is a very significant amount compared to its building price of €70-80 million. Single-tiered auditorium would initially house 13,000 people, which is in line with projected demand for tickets, should SB29 get back to Ligue 1. Their average turnout from past 10 top-flight seasons is above 10,000 per game. Should demand grow, expansion to 15,000 is foreseen within the plan. 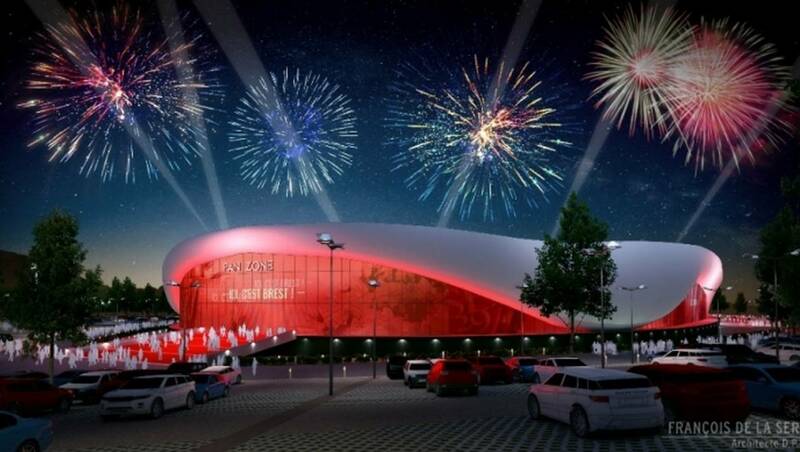 According to the vision by architect François de La Serre the stadium would be decorated with club colours, from white aluminium cladding of the roof and facades to extensive red glazing. There would be 360 parking spaces within the stadium's underground area and further 1,340 across its green parking areas. 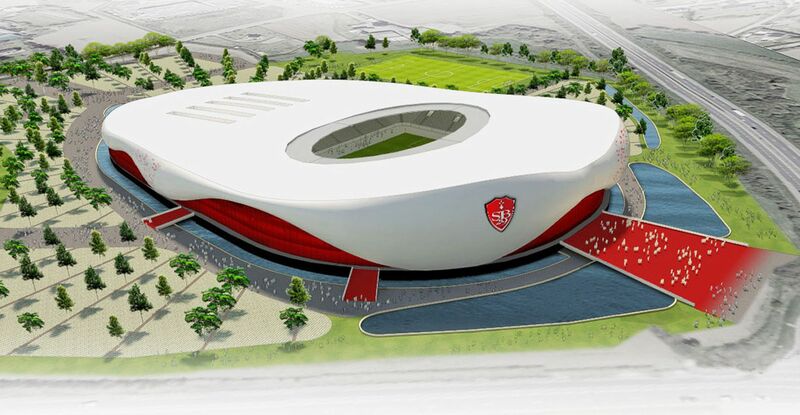 It's not even Ligue 1 and yet Stade Brestois 29 might soon have one of France's best stadia. Not the biggest, but a very sensibly planned scale is part of the equasion. Efficient, not just impressive – that's the goal.